Champagne Castelnau has launched a rosé gift box, complete with re-designed packaging, for its NV expression ahead of Valentine’s Day. Champagne Castelnau Rosé NV is a blend of 50% Pinot Meunier, 30% Chardonnay and 20% Pinot Noir. Aged on its lees for nearly five years, the cuvée is a soft pink in colour and offers notes of “ripe black cherry flavours and lightly toasted notes” with a “flourish of small red fruit aromas” on the nose, leading to notes of toasted almonds on the palate. “Valentine’s Day is an important date for the Champagne calendar and we are delighted to present this dramatic innovation, which would make an already special occasion into an unforgettable one with the gesture of a such a unique gift,” said managing director of Champagne Castelnau, Pascal Prudhomme. The “retro-modern design” of the box features an “explosion of intense red, punctuated with white, black and grey bursts, creating an emotive optical effect”. 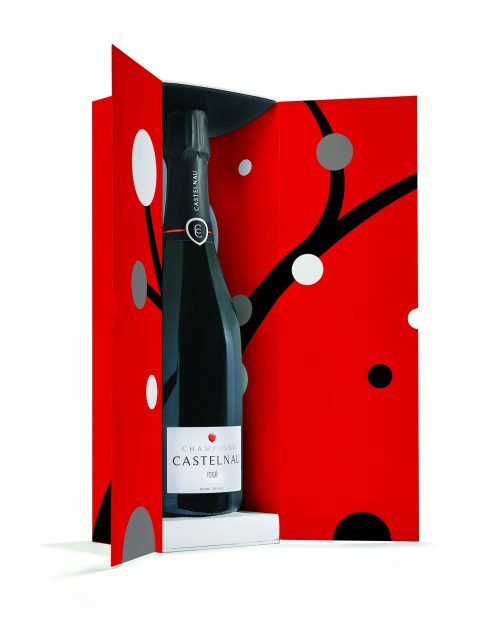 The Champagne Castelnau Rosé NV gift box is available to UK customers via Castelnau Wine Agencies, with an RRP of £35.